The P.1052 VX272 during the initial flight phase in bare metal colours and with straight tail surfaces without the tail bullet fairing fitted. 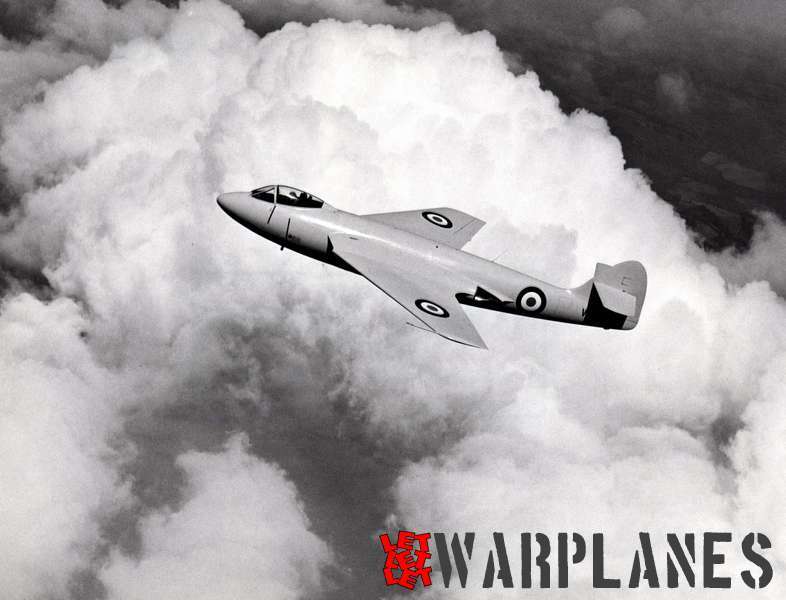 When the Hawker P.1040 Sea Hawk was in production, the Air Ministry ordered from the production line two Sea Hawks fitted with 35° swept wings for investigation of trans-sonic flight behaviour. 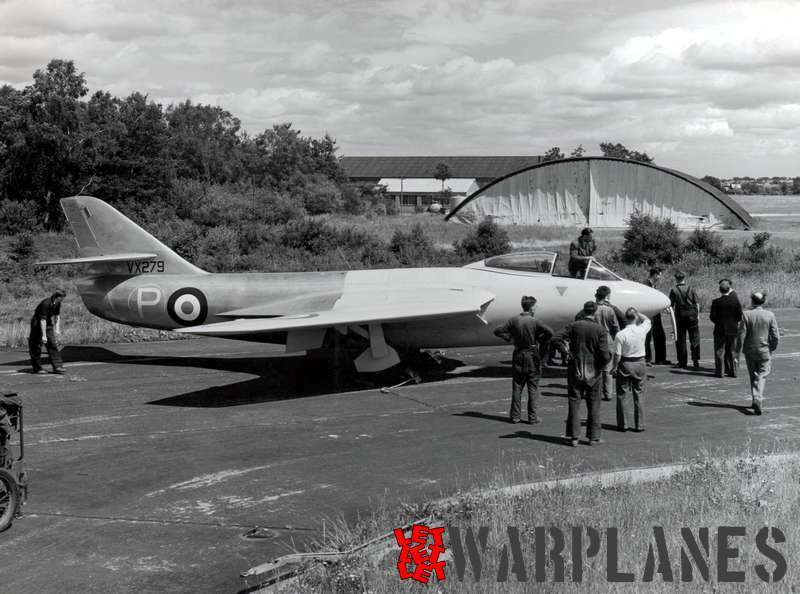 They were designated as the P.1052 and received the serial numbers VX272 and VX279. 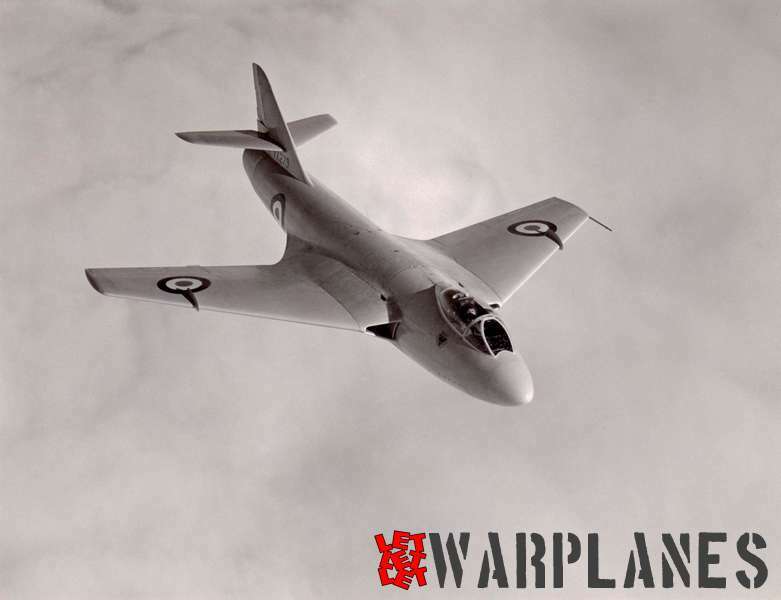 The last one, VX279, was during its flying life so extensively modified with a totally new rear fuselage that it received a new type number: the P.1080. 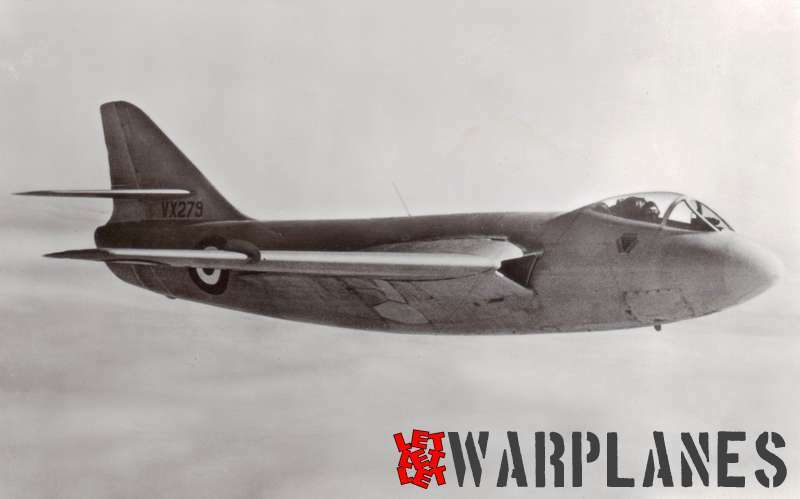 In this article we will have a closer look at these interesting types that were in fact forerunners of the later Hawker Hunter! The second P.1052 VX279 before its conversion into the P.1081. 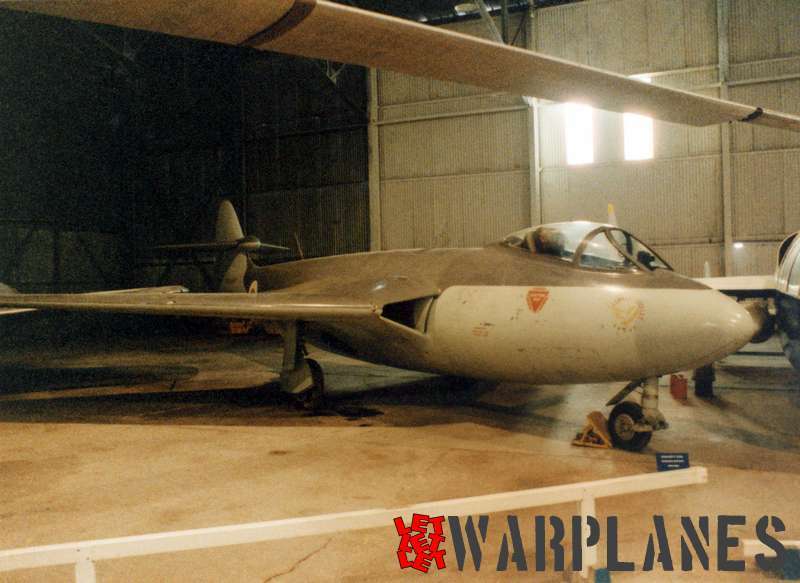 It had an all-over very light blue/green colour scheme that was later also used on the Hawker Hunter prototype WB188. Specification E.38/46 was drawn up for a Hawker SeaHawk fitted with a new 35° swept wing for investigation of control and stability at near supersonic speeds. Other changes with the Sea Hawk were shorter but deeper air intakes. Also the horizontal stabilizer was cropped to a shorter span. 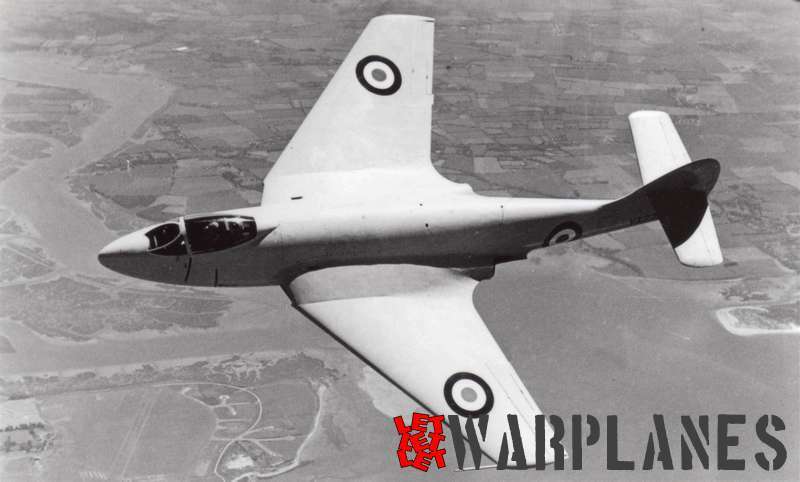 Designated as the Hawker P.1052 the first prototype VX272 made it first flight on 19 November1948 by Hawker test pilot T.S. Wade. 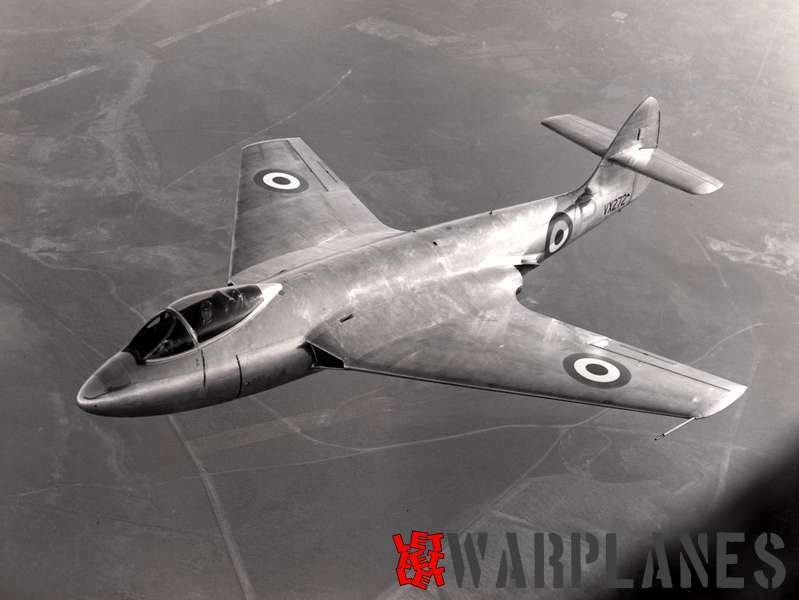 The second prototype VX 279 followed with its first flight on 13 April 1949. Both machines were test flown at Boscombe Down. Hawker used the spring of 1949 also for promotional flying of theVX272 in a record London-Paris flight. Wade improved the existing record on 13 May 1949 by flying this 221 statute miles (356 km) route in 21 min 27 sec with an average speed of 617.9 mph (994 km/h). Later that year Wade also won the prestigious SBAC trophy in the National Air Race at Elmdon (now Birmingham International Airport!) with an average speed of 510 mph (821 km/h). After these flights the P.1052 resumed its original high-speed test flight program. Since this area still was not yet fully understood and since earlier planes had disintegrated at these speeds the fuselage and wing section were strengthened on both planes. During these high speed flights severe buffeting and control problems were encountered. Control was found to be a real problem that could only be solved by using powered controls. 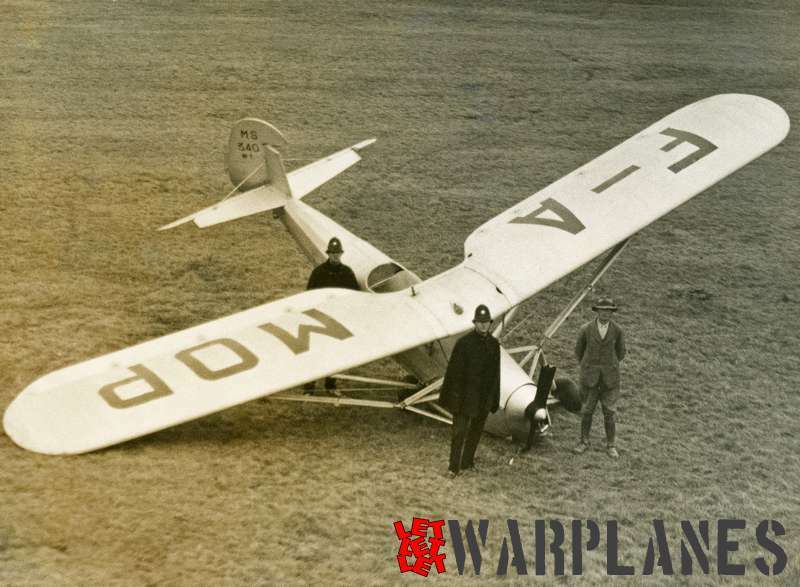 These rough flights also had sometimes effects on the board systems, resulting in several emergency landings. The first P.1052 VX272 made in May 1952 the first deck landing on HMS Eagle fitted with an arrester hook and painted in a standard navy colour scheme of dark sea grey and pale blue. Front of the P.1052 photographed by the Air Ministry in March 1949. To improve flight characteristics the bullet shaped tail fairing as used on the production SeaHawk was later fitted. VX272 was also tested with swept horizontal tailplanes. 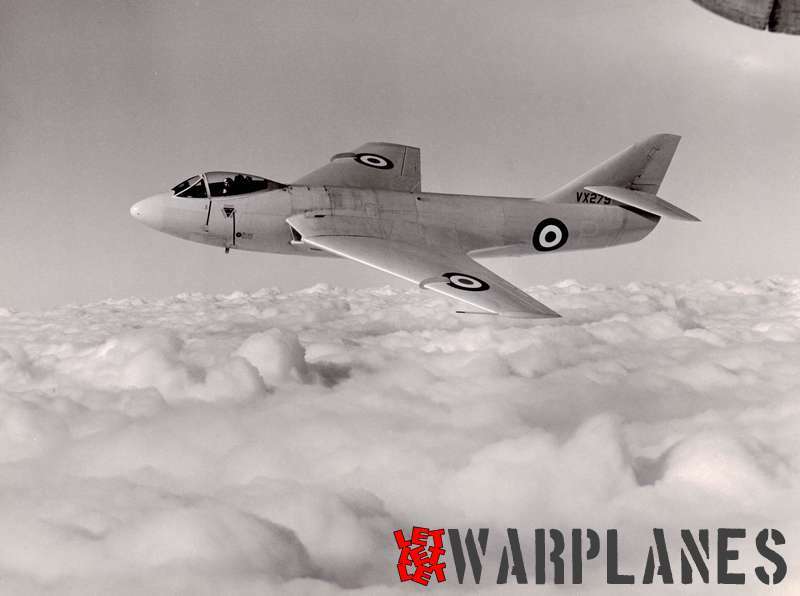 Flying the VX272 was ended by September 1953 after another emergency landing. It was further used as an instructional airframe at Cardington carrying the serial 7174M. VX272 was on static display in the British Aerospace Museum at Cosford painted in its last flying colours but later it was moved to the Fleet Air Arm Museum at Yeovilton. 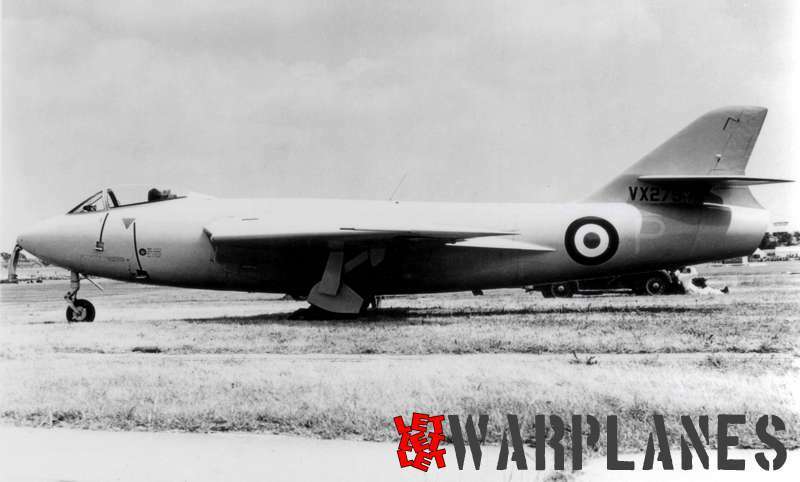 The second P.1052 prototype VX279 went back to Hawker in April 1950 for an extensive rebuild. The Australian Government had shown interest in the P.1052 as an operational fighter, but fitted with a more powerful and afterburning Rolls Royce Tay engine. To meet the Australian requirements Hawker had designed a completely new tail section with all tailplanes swept and with a single exhaust in the fuselage rear. For weapons evaluation VX279 had in the nose provision for the installation of four 30 mm cannon, although these were eventually never fitted. Also the new Tay engine was never installed; it still flew with the original Rolls Royce Nene. It was re-designated as the Hawker P.1081. Conversion of the P.1052 VX279 into the P.1081 with a completely new tail section. New tail section still is in bare metal scheme! The first flight of the P.1081 took place on 19 June 1950 but in November of that year, the Australian Government lost interest. The aircraft was handed over to the Royal Aircraft Establishment (RAE). Its swept tail increased the Mach number above that of the P.1052 into the Mach 0.9-0.95 region, but it was incapable in reaching supersonic speeds. 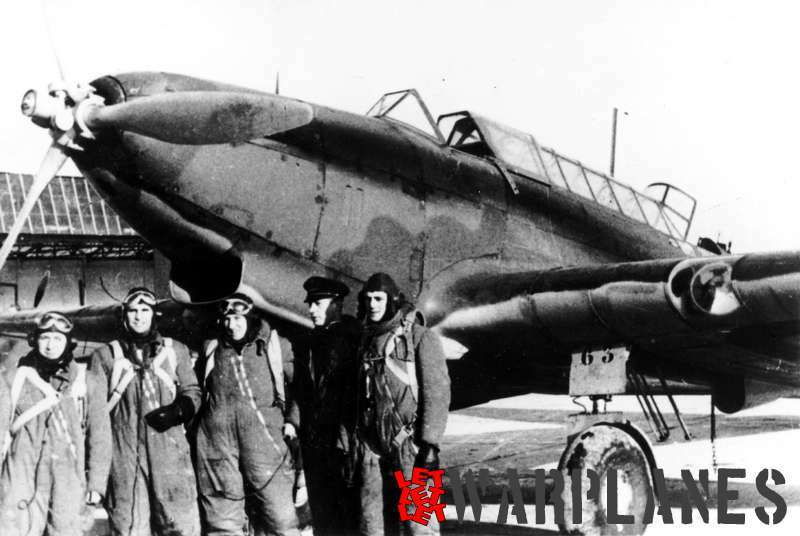 The sole P.1081 was lost with its pilot, Squadron Leader T.S. “Wimpy” Wade, on 3 April 1951. The exact reason for this crash remains unclear, but test pilot Wade ejected at a too low altitude and he was found dead still strapped in his seat. Most likely he had lost control during a high speed dive. Ironically the wreck of the P.1081 was found to be reasonably intact with relatively little damage after it had crash landed froma levelled out flight position. VX279 now painted in an all-over light blue/green. With the loss of the P.1081 and the non-flying status of the P.1052 the project came to an end. 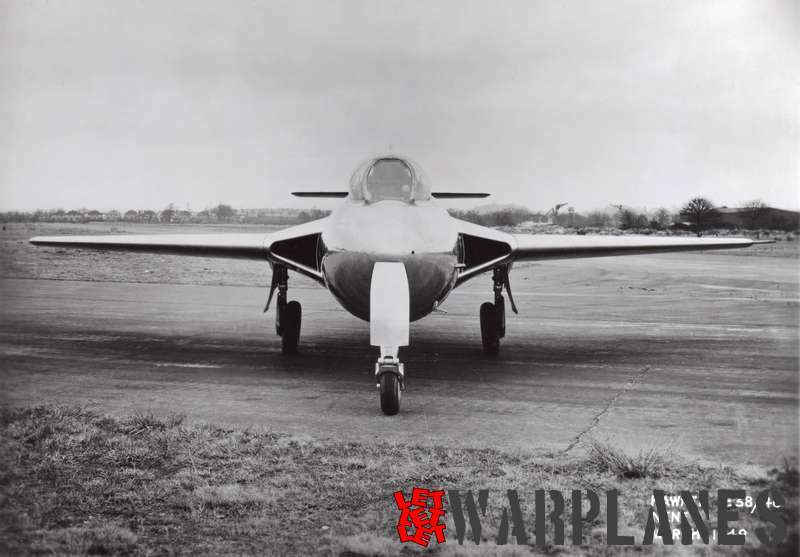 However, its successor fitted with basically the same wing but with a much smaller diameter fuselage made its first flight as early as 20 June 1951 in the hands of test pilot Neville Duke. On April 1952 Duke took the new prototype in a shallow dive and easily exceeded the speed of sound. 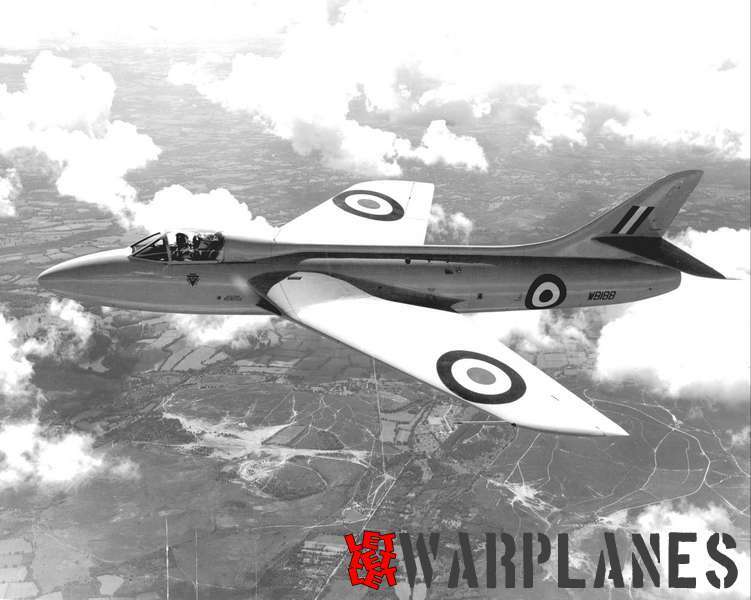 This new Hawker type was the P.1067, better known as the Hawker Hunter……..
In-flight view of the P.1081. 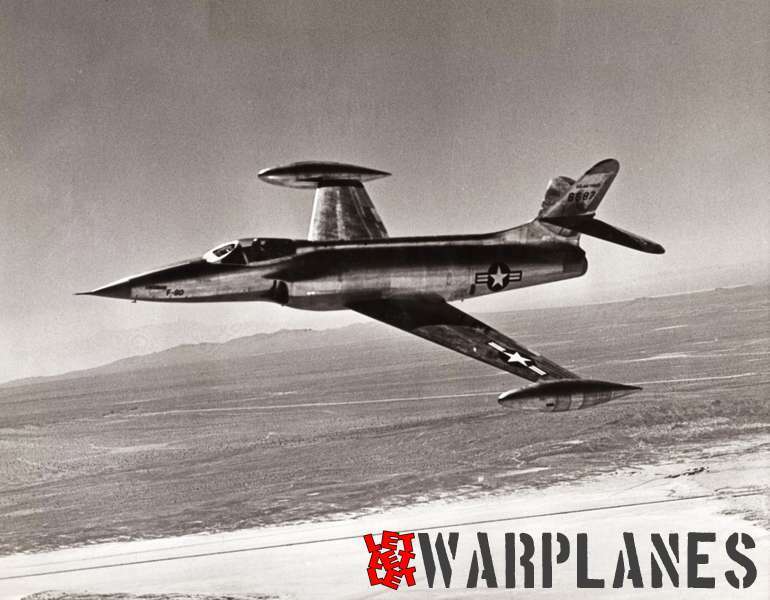 A new breed: the P.1067 Hunter prototype WB188.